Jackfruit tacos are a great vegan option. The first thing you should probably know about Aromas Restaurant (2617 Washington Avenue, 314-833-5022), which opened earlier this month in Midtown, is that it is most decidedly not the Rustic Goat, the wild (and wildly popular) nightclub that flourished on site before running into trouble with the city. Aromas has high chairs. Aromas has a group of regulars who come in around 8 p.m. for a game of chess. 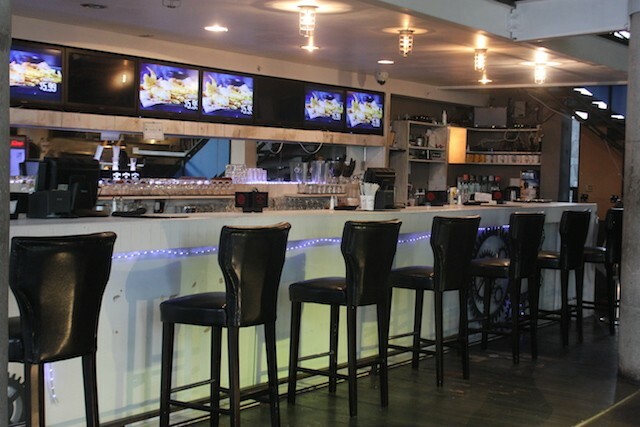 And Aromas doesn't even have a liquor license, not yet. They're working on that, of course. 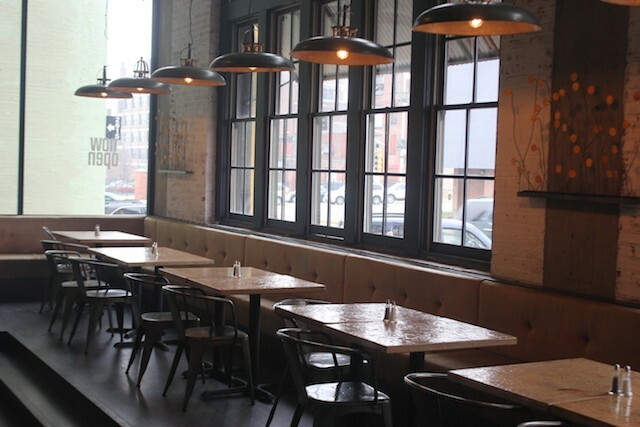 But in the mean time, they are serving food — an easily accessible mix of bar food, flatbreads, sandwiches and entrees like catfish and a triple-cheese mac. Dion Jones, whose mother Glenda Osby is the owner, says many of the recipes are from their family, which hails from Mississippi. "We wanted it to be a soul food restaurant, only you're greeted by a host," Jones explains. "But we also serve vegan food, and just things like sandwiches, burgers, pasta. We wanted to blend all the cultures in." 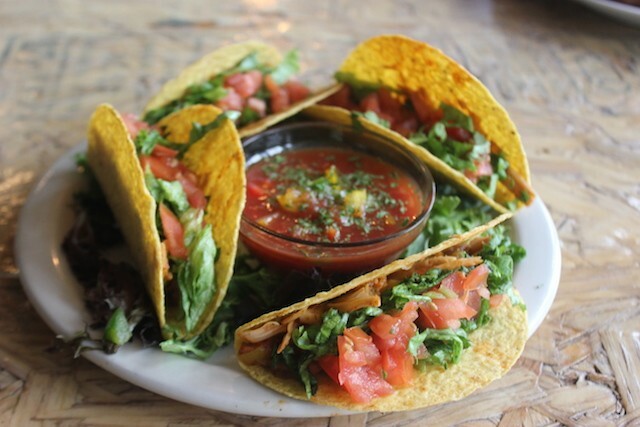 Indeed, there are a large number of vegetarian items on the menu, from jackfruit tacos to a black bean burger. 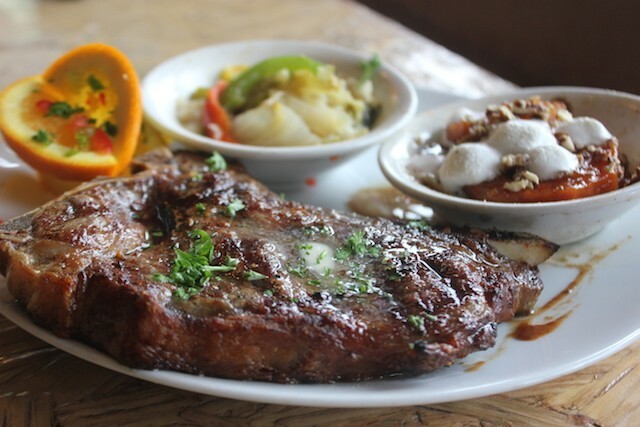 Or you could go in the opposite direction with a steak, served big and juicy with sides of Osby's famous marshmallow-topped sweet potatoes and braised cabbage. Steak comes with soul food sides. But as Jones suggests, this is no hole-in-the-wall counter-service spot. Befitting its former life as a nightclub, the room is both vast and exceptionally good-looking. 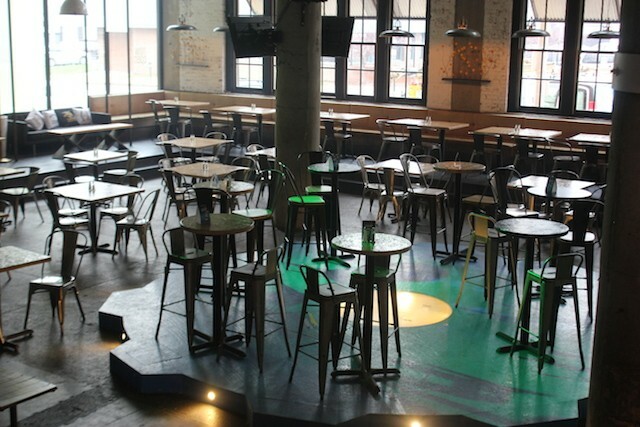 It seats 300, with a banquette along the wall, numerous tables in the main dining room, a long bar backed by flat-screen TVs, and even a mezzanine with more seating overlooking the action. Everything is sleek and modern, with exposed ductwork and clean lines. 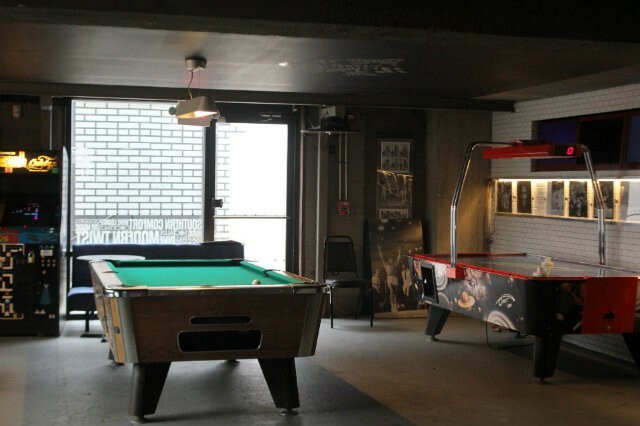 In the back you'll find plenty of reasons to linger, from dart boards to a pool table to arcade games. Upstairs in the very back of the room is a loft where some local guys have started gathering to play chess. Jones says the restaurant wants to host more groups like that. "We want it to be basically be your home away from home," he says. "Have a good time, hang out, and let us do the work and cater to you." Osby is an instructor at Harris-Stowe State University, and Jones says this is her first restaurant. He says it's a longtime dream that became reality when his sister spotted the space for lease. They've benefited from having Lonnie Richardson as chef and Kannuh Hagans as his sous chef, but Jones says his family is not unaccustomed to cooking for crowds. He's one of eight siblings; his mother is one of thirteen. "We just always cooked big for ourselves," he says. Scroll down for more photos of Aromas Restaurant. 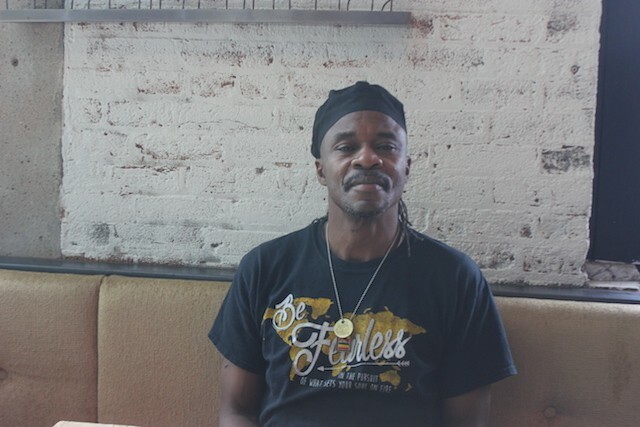 Sous chef Kannuh Hagans hails from Trinidad — and he's a pro with jackfruit. 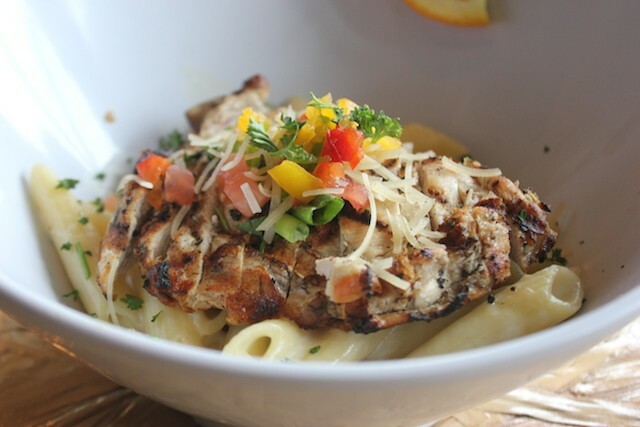 Chicken fettucini is one of four pasta options. 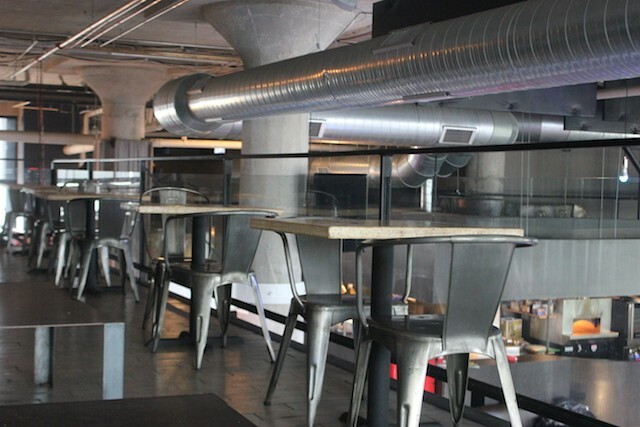 The mezzanine overlooks the expansive dining room. The place seats 300 comfortably. Games beckon in the back.